When you hear “Is this a great state or what?” …. do you think of Galen Culver? Galen Culver interviews 116 owner Matthew Winton. For 25 years, Oklahomans who watch KFOR have been entertained with Culver’s endearing stories. He’s a storyteller, and he tells good ones. His last Luther-related story was about our own Iz Lawson who just got a CANCER FREE report at a doctor’s appointment just this week. Check out this video from Culver’s hilarious time trying to interview her. Remember, an interviewer’s job is not always easy! We had a fun time watching Iz back in January at a benefit basketball game with Amputee Basketball Invigorated. Culver came to Luther on Thursday to do a story about Luther’s newest business, The 116 Farmstead Market & Table. 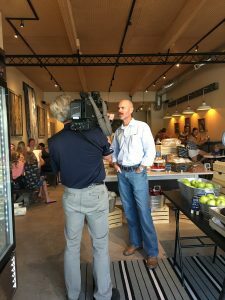 Without creeping around too much by sneaking quick pictures during the interview, we heard him ask owner Matthew Winton about his family’s vision and work to transform the empty building into a new space offering fresh food, coffee and Oklahoma produce and products. There’s also meeting space upstairs. He talked to Manager Angela Hilliard about starting this new gig – she’s the one who picks the fresh produce and hires the staff – and a thousand or so other managerial tasks. 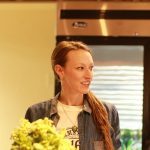 During the hubbub, Morian Grady kept the counter running smoothly – she’s also the one who does all of the fabulous lettering on the menus and signs. In the kitchen, Amy Clowers, formerly of the Coffee Cup Cafe, had her lunch special ready by 11 am. 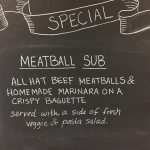 (Thursday’s was a meatball sub with homemade-labor-of-love marinara sauce). All morning, quiche, cookies and other baked items from Jo Watters were ordered by the full house. Culver said after a quarter-century of interviewing, shooting video, producing and editing his own stories, he finds that even with an ever-changing media landscape, people still appreciate a good story and good story telling, especially about where they live. 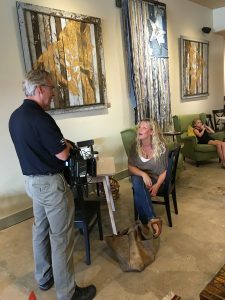 Culver talks to Lindy Jerlow about her art on the walls at The 116. Speaking of the media landscape, while Culver was on the scene, some of the “older” staff wondered when to set their “DVRs” (at least they didn’t say VCR) to record the segment when one of the “younger” staff drily asked if we’d ever heard of the internet, where the story will be found when it posts, but also airs. Duly noted. By the way, that might be on Friday. Look for the buzz on it on social media, or here. Or actually on TV. 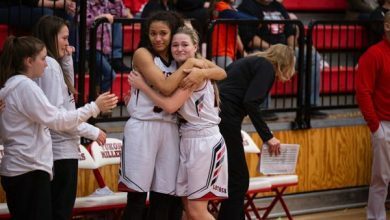 Before packing up and heading out of town, Culver said that after telling so many stories, it’s cool when people – over and over – determine that Oklahoma is not such a bad place after all. It’s a place where folks can chase their dreams – like opening a place like The 116. Awesome! Wish I was there! Can’t wait to see the segment! 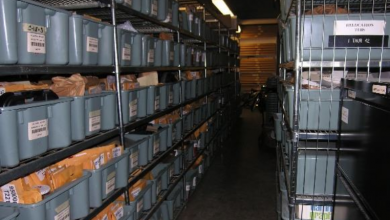 What empty building is this in?